We are a bunch of biologists interested in plants, lichens, microbes, and other organisms associated with rock outcrops in California and beyond. We love hanging out on rocks – the more ‘harsh’ or ‘extreme’ they are, the more we love them! There are many rock types that weather into soils that are ‘harsh’ for plant growth. These rocks include ultramafics such as serpentinite and peridotite, mafic rocks such as gabbro, and carbonate-rich rocks such as limestone, dolomite, and gypsum. Soils found on these rock outcrops can have nutrient imbalances, toxic elements, and adverse structural and textural features, making life ‘difficult’ for most plants. The study of these extremophilic plants (and lichens) as well as their associates (pollinators, seed dispersers, mycorrhizae, herbivores, pathogens, etc.) can provide valuable insight into how diversity is generated and maintained. These extremophiles are also model organisms to explore topics in conservation and restoration as well as phytotechnologies, including phytoremediation and phytomining. We also love hanging out at dumps – mine tailings, rock piles, and industrial waste disposal sites – and on bird-nesting sites with guano-derived ‘soils’ that are highly acidic, nutrient-rich, and at times high in heavy metals. We are also happy to make a trip out to alkaline/salt flats and any other habitat with substrate characterized by unusual chemistries (either naturally-occurring or resulting from anthropogenic activity) as they also harbor distinct plants and associated species. Check out floristic studies undergraduate students have conducted on vascular plants of guano-derived soils, serpentinite, limestone, and abandoned copper-zinc mines and on lichens and bryophytes of ‘harsh’ substrates (all in Maine, USA). Additional publications on geoecology are found here. If you are excited to explore plant communities on rock outcrops or in other ‘extreme’ soil habitats you are welcome to join the Geoecology Lab at Cal Poly. 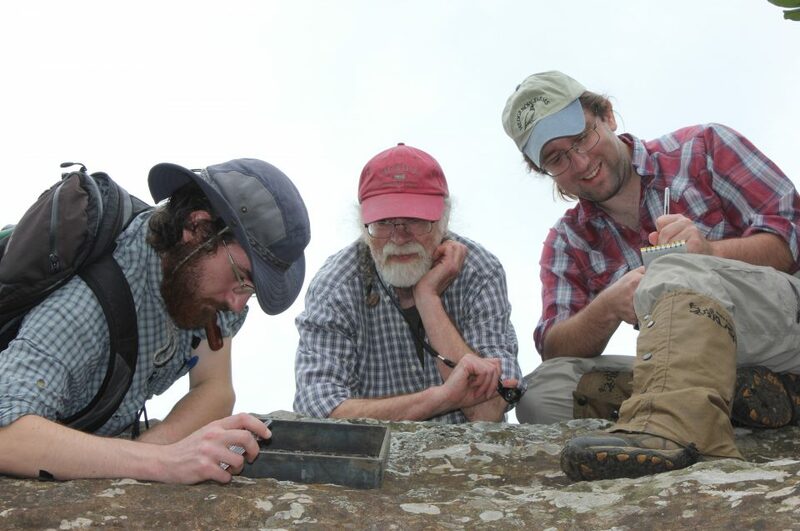 Geoecology is a multidisciplinary field ideal for students with interests, background, and skills in one or more of the following areas: taxonomy (of plants, lichens, or their associates), ecology, physiology/genetics, biochemistry, evolution, soils/geology, and conservation/restoration practices. I am looking for both graduate and undergraduate students to explore habitats with harsh soils in and around Cal Poly and work on new and ongoing projects on plant (and lichen) – ‘harsh’ substrate relations in California, Maine, South Africa, and Sri Lanka (and anywhere else you’d like). Check out Research for more on ongoing projects and plans for future research. Drop me an email if you are interested in pursuing geoecological research.